You have asked us about our attitude towards the teachers' strike in April. Our opinion has been included in the Statement by the National Board of Non-Public Education, which we hereby publish entirely. Participants of the National Gathering of the National Board of Non-Public Education hereby express their support towards the postulates formulated by teachers, concerning the raise in salaries, and show full solidarity with the national teachers' strike. The "reform" of the system of education introduced by the Ministry of Education has brought about a situation in which schools in the entire country are facing difficulties in the field of the space available, curricula, and staff. Low salaries, prolonged time of promotion, general chaos in schools, with simultaneous growth of formal duties, are discouraging many teachers from work. Less and less university graduates choose the teacher's career. Thus, we are convinced that the matter especially vital to the future of Polish education is the increase in the prestige of working as a teacher. It is impossible if the teachers are not paid well enough for their difficult and responsible work. 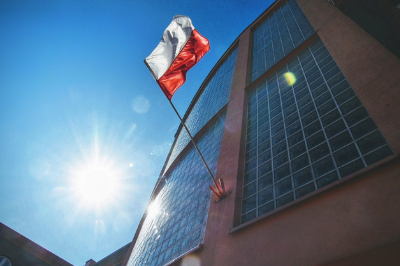 We would like to show our solidarity with the planned teachers' strike, which should lead to an increase in educational subsidies and constitute a first step to withdraw the changes introduced by the current authorities that are harmful to Polish education. Teachers of non-public schools who, for formal and legal reasons, will not be able to take an active part in a collective strike, such as a strike, will express their solidarity with the striking colleagues from public schools in various forms. We believe that we have clearly presented our attitude by publishing this Statement.